On the way home from La Estrella in Eagle Rock the other day I decided to stop at one of my favorite Highland Park taco trucks, El Pique. It had been about a year since I had been to El Pique and I was curious if they were still dishing out those tasty flavor bombs. El Pique parks roughly 50 yards west of another La Estrella truck. 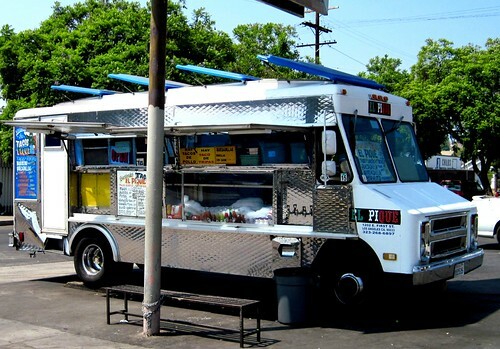 The La Estrella truck was packed while El Pique was deserted. Sometimes it’s the other way around. Sometimes both are mobbed. There is an addictive quality to the La Estrella salsa roja that keeps the masses coming but El Pique’s salsa roja isn’t too shabby either. It’s not as spicy as La Estrella’s but it compensates with more flavor. You can’t go wrong at either truck. Both are fantastic. As usual though whenever you find two trucks that park so close to each other each truck will have their loyal fans. 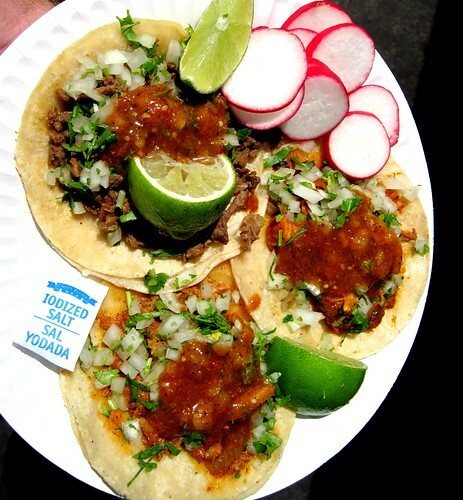 The asada tacos at El Pique are finely chopped, greasy and delicious. The salsa provides a good balance to the salted bits of beef. The al pastor is the signature taco, tender pork that tastes like it’s been slow cooked for days.These tacos are advertised as 100% DF style. Having never been to the district of DF I’ll take their word for it. No truth to the rumor that if your wearing a chivas de guadalajara shirt your tacos are free. Man I thought this site was decent until I saw this review. Tacos El Pique is not that good. You can tell the quality when you compare them to La Estrella. 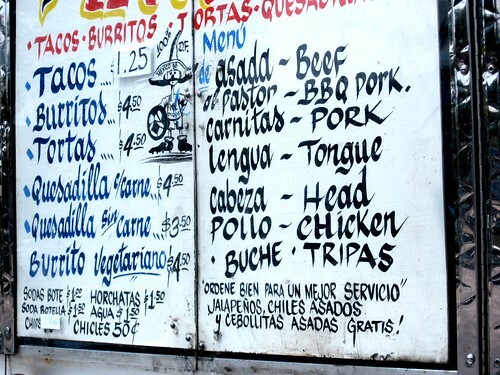 And just so you know, there is never a line at this truck as long as La Estrella. I used to buy tacos from here for years while I would wash my car because I was too lazy to walk the 1/2 block to la estrella. No more. Tacos are no good. I really liked their veggie burrito. Tortilla was crazy fresh and it was a big comfort meal for $4.50. This is crazy talk; El Pique's salsa puts Estrella's to shame! It's the best Salsa in Los Angeles, hands down and they have the freshest veggie tacos around, as well as the BEST quesadilla EVER! BooooooOOOOooo Estrella! Am I the only one that thinks El Pique has gone down? I used to love their food and I think they exchanged owners or something (almost about 2 years ago) as I've noticed it's just not the same anymore.